When you rent a car, you'll pay the daily rate for rental, taxes and fuel for the car. You'll also have the opportunity to purchase a variety of insurance. 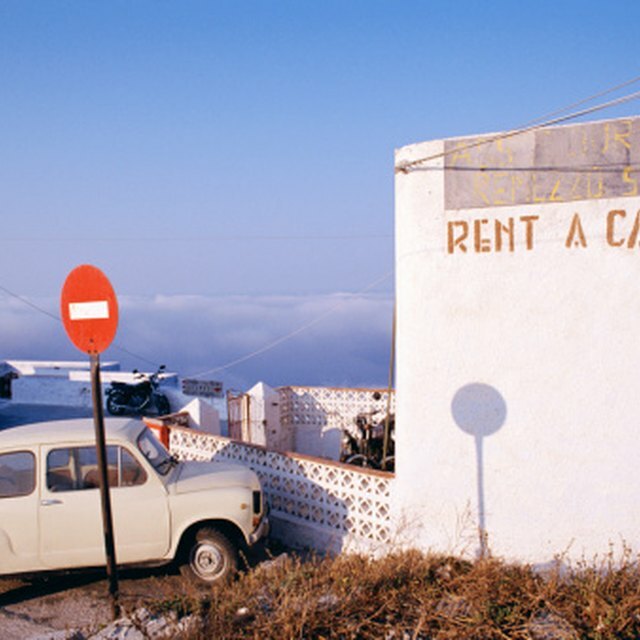 These policies can add significantly to the cost of car rental. Depending on the types of insurance you already have on your personal vehicle, you may not need rental car insurance. But going without the insurance involves accepting certain risks. When you rent a car, you will probably be offered a collision damage waiver or loss damage waiver. This insurance pays for damages to the rental car in the event you have a collision. It also exempts you from having to pay other charges the rental car company may impose, such as a "loss of use" fee for the time it's unable to rent the car and a "diminished value" fee for the decrease in the resale value of the car due to damage. If you have insurance on your personal vehicle, your policy may include collision coverage for rental cars. It may also cover loss of use or diminished value, but it may not. Double-check your policy to be sure. If you only have liability coverage on your personal car, you probably won't have collision coverage for rental cars. Liability insurance pays for damages to another driver's vehicle or person if you're involved in an accident and are deemed liable for that accident. If you already have insurance coverage on a personal vehicle, your policy should include rental cars also. But you'll have to pay your deductible in the event of a claim, so consider that when choosing whether to decline rental car coverage. If you don't own a car, you can buy a non-owner auto policy that will cover your liability for rental cars or if you borrow someone's car. This kind of insurance makes sense if you frequently rent or borrow cars. You also can purchase liability coverage from the rental car company. The insurance will add to the cost of the rental but will prevent a greater loss if you're involved in an accident. Rental car companies will sometimes offer other types of insurance, such as a policy that will pay medical bills if you're injured in an accident involving the rental car, or personal effects insurance to cover the loss of luggage or other personal items if they're stolen from the car. Your personal medical insurance, personal auto policy and homeowners insurance already cover you in the event of any of these things, so most people don't need these extra policies. Does Auto Insurance Cover a Rental Car? Do I Really Need Rental Car Insurance? Can I Drive Other People's Cars Under My Own Insurance? Many credit cards offer automatic collision damage and loss of use coverage when you use the card to rent a car. Some make the coverage secondary to other coverage you may have through your personal auto policy. In other words, the credit card company pays any remaining money after your personal auto insurance settles with the rental car company. If you rent a car in a country other than Canada or the U.S., your personal auto policy and some credit card coverage will not extend to that country. You'll need to purchase insurance from the rental car company or buy a travel insurance policy that will also cover your rental car.